The German HQ of arms company Heckler & Koch has been raided by police after campaigners exposed illegal weapons sales to conflict zones in Mexico. The German government placed an arms embargo on four of Mexico’s 31 states, including Chiapas, home of the Zapatistas, due to serious human rights abuses there. However, between 2006 and 2009, H&K sold assault rifles to those states, shipping the weapons to Mexico City in order to disguise their final destination. 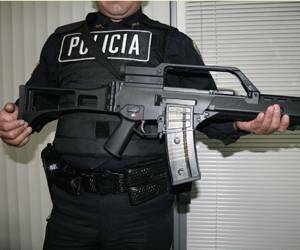 Furthermore, Heckler & Koch bribed a Mexican general to get the deal.